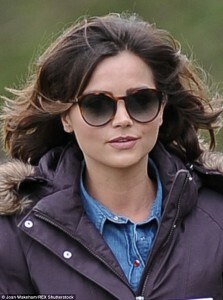 I’ve finally gathered new filming images of Jenna filming the brand new season of Doctor Who, She has been filming in various parts in Cardiff and they look wonderful! We can’t wait for season 9 to air! Titanic HD Screencaptures are now on our Gallery! I have finally updated my Titanic album in our Gallery with 720P HD screencaps of Jenna’s time in the 4 parter story portraying the role of Annie Desmond, We hope you enjoy using the screencaptures and you can also find the links down below. 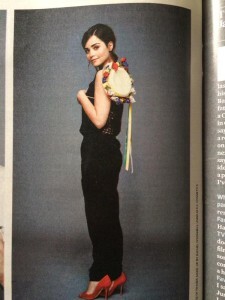 In The magazine Jenna talks about her Co-star Peter Capaldi, who plays the current Doctor on Doctor Who- She also talks about her contract on Doctor Who as well. “My contract came up last year and I decided that because I’d only done one series with Peter Capaldi, I wanted a bit more time to explore that relationship.Also, he’s the Gandalf of Doctor Who! Jenna’s lovely Instagram post’s have been uploaded to the gallery! Check it out! 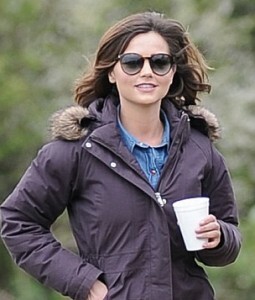 Jenna has been filming Doctor Who season 9 on her birthday bless her, we have gathered a few filming photos of Jenna walking around set. Jenna was supposedly filming these two episode titles “The Girl who Died” and “The Women who lived“,could these episodes be the last for Clara Oswald? We hope not! 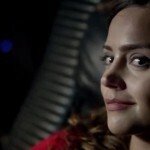 I have added 364 HD Screencaps of Jenna’s first episode in Doctor Who and what a brilliant episode it was! 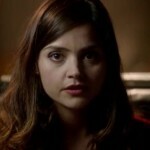 Jenna one an award for best guest star which was amazing for her because she has deserved it! I hope you enjoy using the Screencaps!